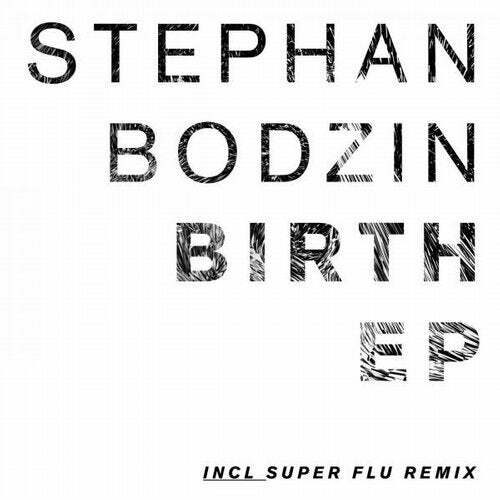 Ahead of the launch of his latest and greatest album, Powers of Ten, Stephan Bodzin is teasing fans with a new single from it. Entitled Birth EP and released on his own Herzblut Recordings on April 24th 2015, it features standout "JA Mix" of 'Birth' and a remix by Super Flu. The album itself is hugely personal and is filled with cerebral messages and well thought out concepts. Due to land in June of this year, it is an engaging listen from start to finish, as are these two new lead singles. 'Birth' is a hypnotic and beautifully melodic track that rolls along at an inviting mid tempo pace. Smeared pads and bendy synths lead up to the skies and vocal coos add an angelic feel to the clean, crisp groove before a soothing breakdown builds tension. Once the track drops again it is a subtly euphoric affair that cannot fail to sweep you off your feet. Super Flu, aka Herzblut Recordings regulars and German pair Felix Thielemann & Mathias Schwarz, then remix. Their version is laced up with big pain chords and squelchy synths, watery droplets and plenty of deep dance floor drama. Both these excellent tracks will whet appetites for the full length later in the year and give a magical insight in what to expect from it.